Woodchuck Hard Cider recently released the sixth installment in their Out on a Limb rotating series: Hot Cha Cha Cha Hard Cider. 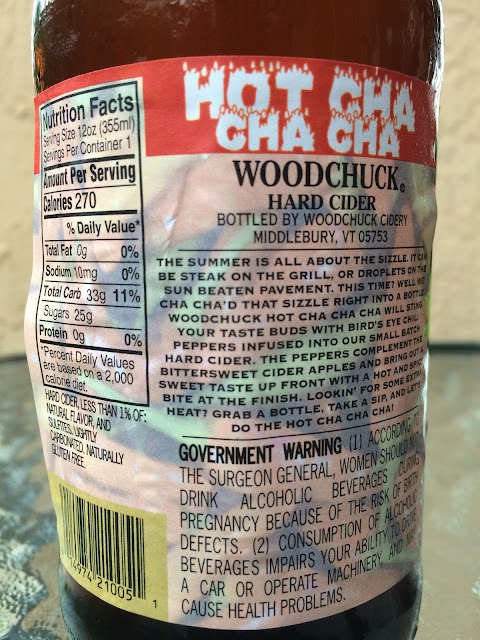 In this unique case, Bird's Eye Chili Peppers were infused into their apple cider. 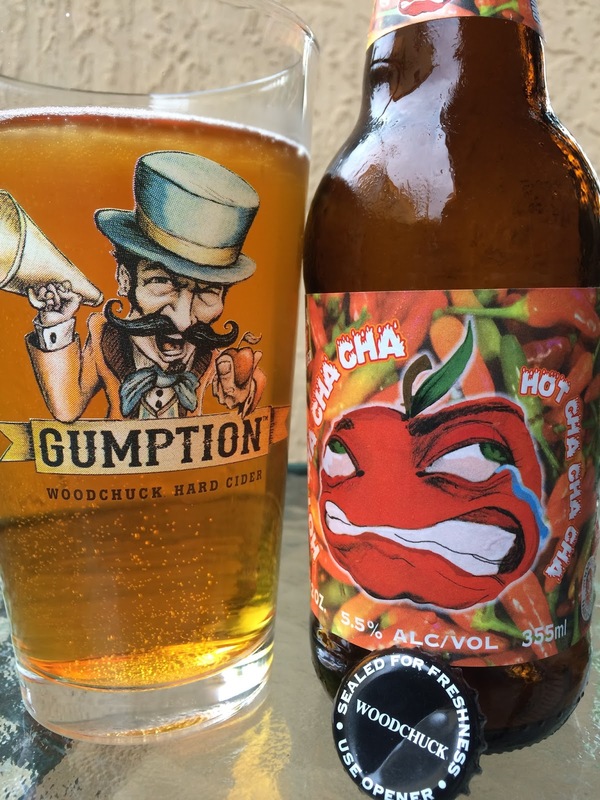 On the label, even the really cool-looking pepper has watering eyes and is obviously suffering from the heat of drinking this spicy cider. A little story on the back sets your expectations. Nutritional facts are also on the back: Per 12 oz: Calories 270; Fat 0g; Sodium 10mg; Total Carb 33g/Sugars 25g; Protein 0g. Sweet apple and spicy, peppery aroma, singed a few nose hairs. Sweet apple flavors start, initially tame with that vinegary "cidery" tartness you may expect. But just like you were prepared to expect, WHAM! a spicy kick to each finish that travels directly to your throat and leaves a lingering dull burn. I would say by the third sip, however, that if you have any love for things spicy, you will find this cider easily manageable and actually growing on you. Repeat! More sweet and spicy playing off each other. I thought the carbonation was also a really nice aspect, bringing out both the apples and chilis. A fun twist for a cider. My lips are still tingly 20 minutes later. Check it out!